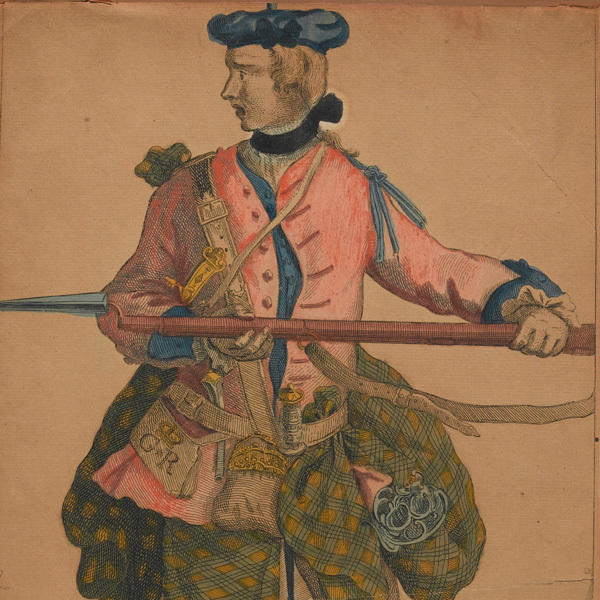 The Black Watch was an infantry unit born in the aftermath of the First Jacobite Rebellion of 1715. The senior Highland regiment, it went on to fight in nearly all the British Army's campaigns and is now part of the Royal Regiment of Scotland. In the aftermath of the First Jacobite Rebellion of 1715, Independent Companies of militia were raised from loyalist Highland clans for policing and peacekeeping duties. These companies were commonly known in Gaelic as ‘Am Freiceadan Dubh’, or ‘The Black Watch’, due to their unpopular nature and their dark green government-issue tartan - the regiment wore kilts as part of its everyday uniform until 1940. In 1739 King George II ordered that four more of these companies be raised and that all the companies be merged into a single line infantry regiment. The regiment impressed the Duke of Cumberland with its Highland style of fighting at Fontenoy in 1745 and later that year it was sent back to guard southern England against invasion, with one company being sent north to fight the Jacobites at Culloden. In 1747 it was given a numerical ranking as the 43rd Foot, rising to the 42nd two years later when the previous 42nd was disbanded. The 42nd (Royal Highland) Regiment fought in the French and Indian Wars in North America before defeating George Washington at the Battle of Long Island in 1776 during the American Revolutionary War (1775-83). It served in both Egypt and Spain during the Napoleonic Wars and was mentioned in despatches for its service at Quatre Bras and Waterloo (1815). 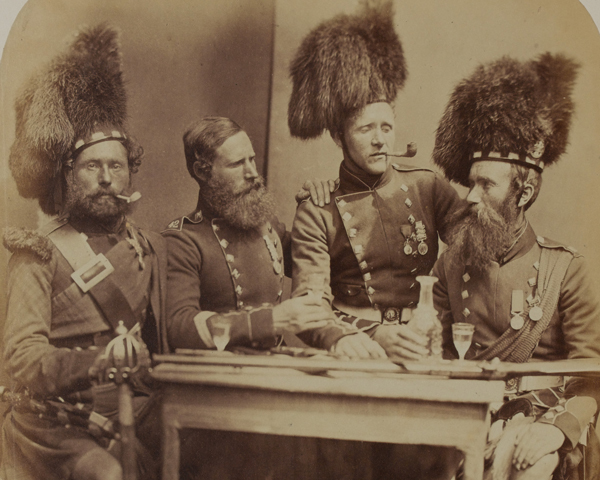 The 19th century saw it fighting in the Crimea (1854-56) and the Indian Mutiny (1857-59), whilst in 1881 the 73rd (Perthshire) Regiment was merged into it. From then on it was officially known as The Black Watch and was the county regiment of Fifeshire, Forfarshire and Perthshire. 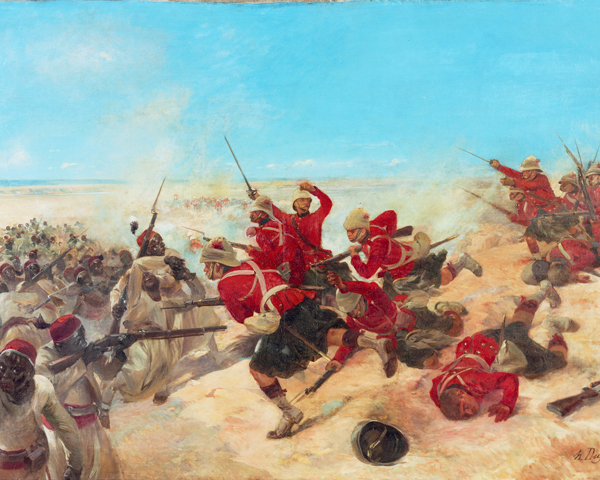 The regiment then fought in Egypt (1882) and in the Boer War (1899-1902). During the First World War (1914-18) the regiment raised 25 battalions for service in France and Flanders, Palestine and Mesopotamia. By the time of the Armistice in November 1918 over 8,000 members of the regiment had lost their lives. Battalions of the regiment served in most major theatres of the 1939-45 war, including North Africa, Italy, North West Europe and Burma. 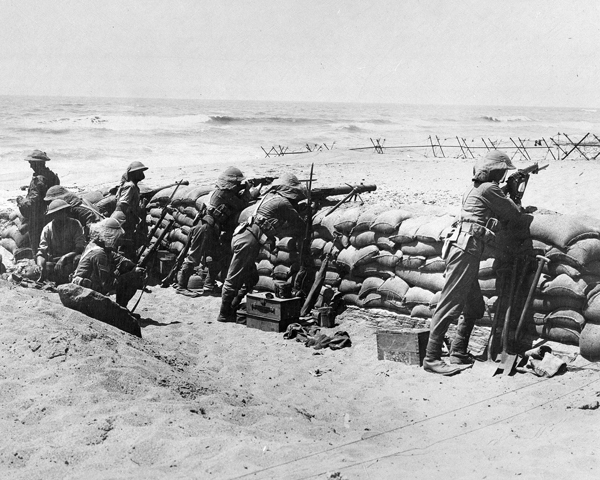 What nickname did German soldiers give to The Black Watch during the First World War? According to legend, the Germans on the Western Front gave them this name because they wore kilts and were such ferocious fighters. Major post-war engagements included Korea (1950-53) and Kenya (1952-60). The regiment also regularly served in Northern Ireland (1969-2007) and was the final garrison unit in Hong Kong prior to its handover to China in 1997. The Black Watch was amalgamated into The Royal Regiment of Scotland in 2006. Announced in 2004, while the unit was on active service in Iraq, this caused much controversy. 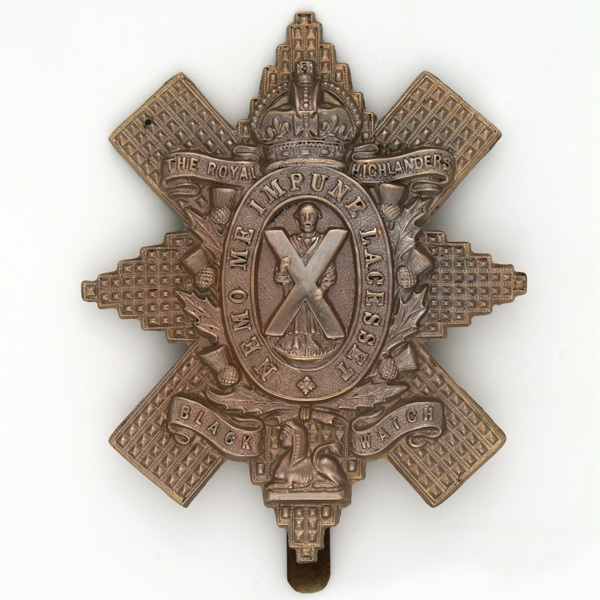 The Black Watch became the new regiment's 3rd Battalion. 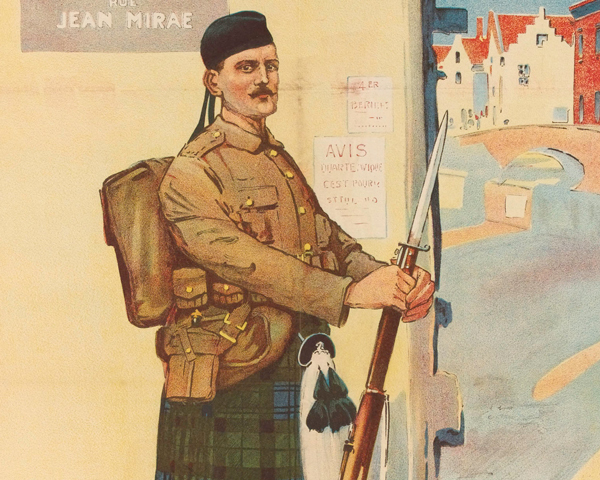 Explore the history and collections of The Black Watch by visiting The Black Watch Museum.